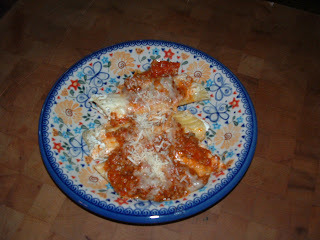 One of our favorites is Herbed Ricotta Cheese Manicotti with Bolognese sauce. Anyone who knows me knows when I make Bolognese, that I make it by the vat full and then freeze it in easy to use sizes. 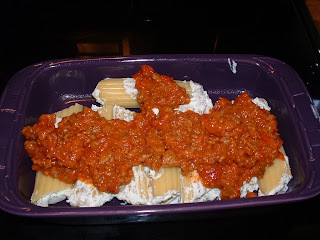 That step makes this a super easy dish to make. Prepare pasta according to directions. Rinse in cool water and set aside. 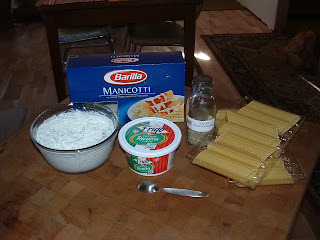 With a hand mixer whip the Ricotta Cheese and add seasoning until well blended. 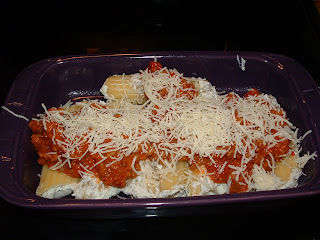 Gently stuff the cooled shells and place in a baking dish. Bake at 350 degrees for 30 minutes. Personally I like to bake these a day ahead of when I want to serve them and let the flavors meld together. I think they are better the next day.